1. Rinse the lentils: Measure the lentils into a strainer or colander. 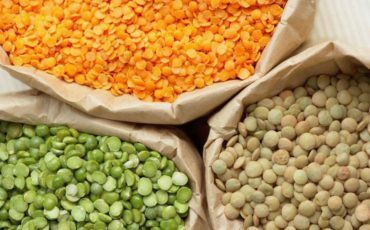 Pick over and remove any shriveled lentils, debris, or rocks. Thoroughly rinse under running water. 2. Combine the lentils and water: Transfer the rinsed lentils to a saucepan and pour in the water. Add any seasonings being used, reserving the salt. 3. Bring to a rapid simmer, then reduce heat: Bring the water to a rapid simmer over medium-high heat, then reduce the heat to maintain a very gentle simmer. You should only see a few small bubbles and some slight movement in the lentils. 4. Cook the lentils: Cook, uncovered, for 20 to 30 minutes. Add water as needed to make sure the lentils are just barely covered. 5. Salt the lentils: Lentils are cooked as soon as they are tender and no longer crunchy. Older lentils may take longer to cook and shed their outer skins as they cook. Strain the lentils and remove the bay leaf, if used. Return the lentils to the pan and stir in 1/4 teaspoon of salt. Taste and add additional salt as needed. 6. Storing cooked lentils: Cooked lentils will keep refrigerated for about a week. Season them with Cedar Nut oil, lemon juice, vinegar, fresh herbs, and eat them on their own. Lentils can also be added to soups, salads, or other recipes.